Southlake Water Damage Repair and Southlake Water Extraction When you Need Us! Call our Southlake water damage restoration team any time you need us. 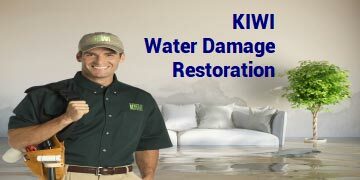 When you have a flood or other water damage, KIWI Services is the company to call now! We’re available 24 hours a day, 7 days a week – so your flood damage is handled now and handled right. KIWI Services is accredited by the Institute of Inspection Cleaning and Restoration. After our Southlake water extraction teams have removed water from your home, we’ll temporarily store your belongings while we clean, sanitize and deodorize them. Your walls, carpets and floors damaged by flood will need water extraction services to ensure your safety – we clean and sanitize all areas affected by flood waters. Our Southlake water damage repair teams act quickly to minimize the damage in your home. 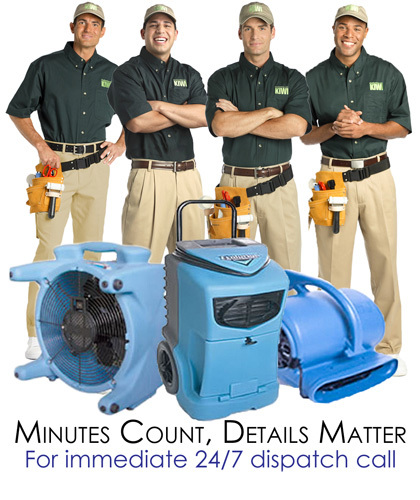 Our Southlake water damage repair teams know that you have to act fast – every minute counts! Wet walls, floors and carpets grow mold and mildew. Leaking pipes, a leaking water heater, water in your home from a storm – all of these flooding situations create problems and we can help. KIWI’s water extraction and water damage repair is all about deep cleaning and giving you a safe environment to come back to. Plus we’ll work directly with you or your insurance company if you prefer. We’ve been caring for your home and office since 1987! Call today for the best water damage repairing services in Southlake, Texas!